VIENNA, July 31. /TASS/. 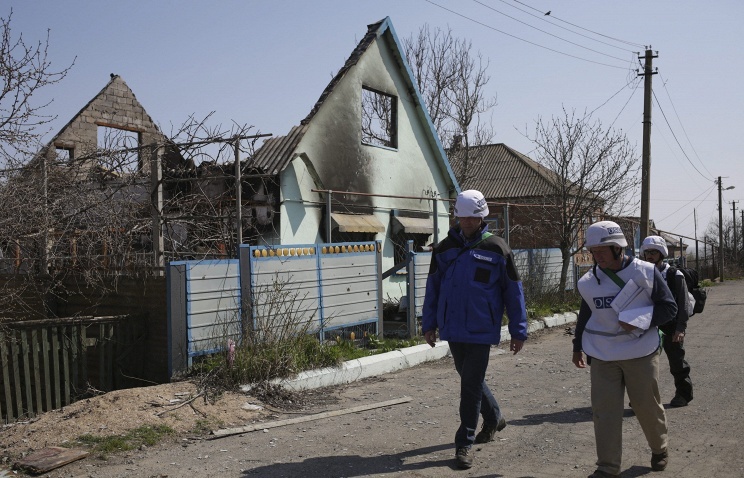 The OSCE Special Monitoring Mission to Ukraine will reduce its presence in the areas of the towns of Schastye and Shirokino where the mission’s observers came under fire last week, Deputy Mission Chief Alexander Hug has told TASS. "These areas will be reviewed, there will be a temporary restriction on these areas," he said. "The areas will still be monitored. You can also do that from the distance. We will probably have a patrol go out just to understand how stable the situation is." He noted that at this stage the OSCE mission "had no intention to cease operations." "To review operational procedures after serious incidents is standard. You just don’t continue as normal if you come under fire. So this is a standard procedure," Hug said. He recalled that the mission’s officers "had come under fire many times, and every time there was a review of the procedures", but now the mission "has resumed full operations in most areas again." Hug described such incidents where observers’ lives were put in jeopardy as unacceptable. "What is important is that both sides knew that we would be there, but still we came under fire." Speaking about the incident in Shirokino, he admitted that so far it was impossible to establish who opened fire on the observers. "We saw that there were men in the village, we couldn’t identify them. The rebels claimed that nobody of their forces was in the village that they had withdrawn, and the Ukrainian side said they held their positions. So, the question remains who these groups were in the end, I don’t want to speculate [on the issue]. ".